Committee for Children develops programs rooted in social-emotional learning (SEL) that help transform schools into supportive and successful learning environments. Programs like Second Step, an SEL-centric solution that provides parents, educators, and the community with tools to guide the social-emotional growth and safety of today’s youth. And Mind Yeti, helping children and their adults get their minds ready for whatever’s next. Together, our programs help us achieve our mission to foster the safety and well-being of children through social-emotional learning and development. Learn more about safety, climate, and conditions for learning. Thousands of schools around the world and more than 14 million children benefit from Second Step each year. With Second Step, educators give Early Learning–Grade 8 students the tools they need to excel in the classroom and beyond. 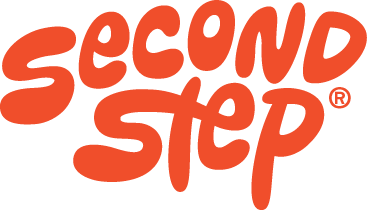 Second Step offers a combination of Second Step SEL, the Bullying Prevention Unit, and the Child Protection Unit. Together these help improve behavior, build a positive school environment, and address safety—all while creating lasting results for children and communities. Designed to engage today’s students using formats, themes, and technologies that evolve and improve as they do. Committee for Children is consistent and unwavering in our work to prevent bullying. We blend prevention and intervention research with practical training and real-life solutions that protect children. Embraced by teachers, parents, and children around the world, Mind Yeti helps kids and adults get their mind ready. Whether it’s time to calm down, focus, or go to sleep, Mind Yeti can help settle the hubbub at school and at home. Learn about our approach to mindfulness.